We’ve published a quick introduction guide to RPM Webhooks in the upcoming RPM v12. If your organization is interested in automating some actions every time a form is created, edited, trashed/restored or archived/unarchived then take a look at thew new webhooks feature. In the next version of RPM we’re preparing a big change to a little used feature: Worksheets are being removed altogether from the service, including API access. The ProcForms API endpoint returns a list of forms for a given process. The fields returned for each form are based on the View ID provided. If the ViewID is not provided, the user’s default view is used. Views in RPM are used to show a list of forms in a process. The user has the freedom to select the visible fields and the order they’re in. 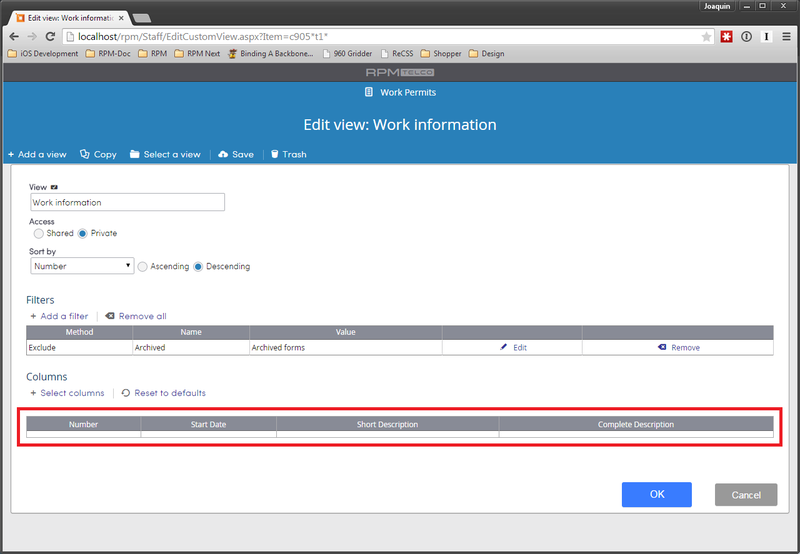 RPM provides a section where it lists all the available views and the necessary IDs in ProcForms. 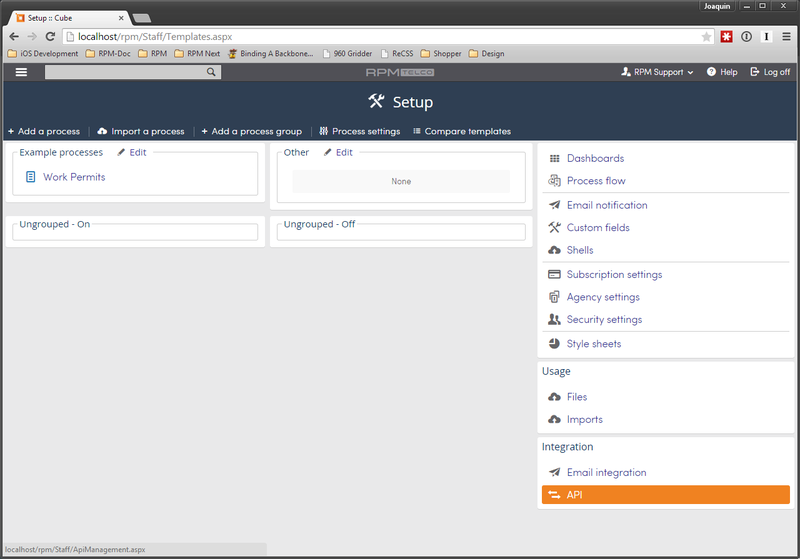 To get to it go to the “Setup” section, click on the API button on the sidebar. "Small leaks have been reported recently in section C pipelines, the works shall do a visual inspection to find any other leaks or rusted junctions and sections where new leaks could happen.\r\n\r\nAlso should look for any possible sources for these leaks (other than rusting)." "Replace the sump pump for the downstream reservoir"
Location list fields are a special kind of list field where each option is associated to a set of geographic coordinate system coordinates. When working with this kind of field via the API, the coordinates can be found inside the “InternalFormat” for the field and can be matched to the option via the ID.